Depending on the design of the crate (straight crates, no irregularities) to be transported, a roller conveyor can be an economic way to transport single crates or stacks of crates. This occurs in a straight line or with a bend up to 180°. Roller conveyors may be driven by a gear motor or just by means of gravity. Do you want to talk about the Roller Conveyors? 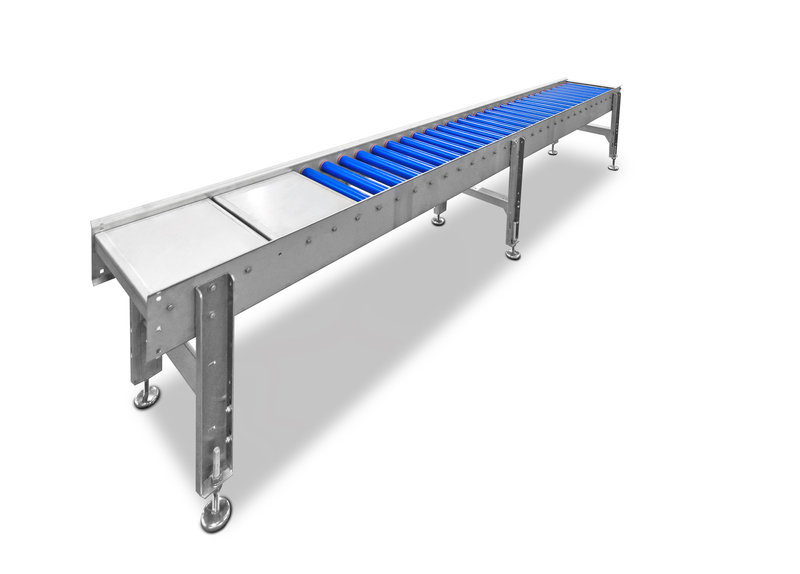 You want more information about Roller Conveyors?